Jesus was not just a Savior, but He was also a friend, a teacher, and mentor that walked with His disciples for three years instructing them in the spiritual life. 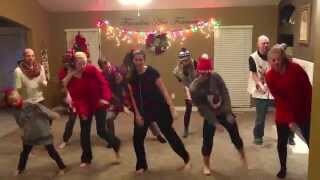 Family Creates Synchronized Christmas Dance... Wow! This family takes celebrating the holidays more fun than ever! Learn how to change your life by finding inspiration in heroes from your favorite books and films.